Beautiful Porfirian house protected by fine arts, in the heart of Colonia Roma., one of the most important cultural centers of Mexico City, known for its big social life, art galleries, restaurants, wooded areas, boutiques. The house facade remains as original form early twentieth century, , despite the time the place is in perfect condition as new, on the ground floor is the kitchen with all the necessary tools, living room and dining room, some of the furniture that you'll find there, are original form the period. On the first floor there is beautiful brightly bedroom, a comfortable queen-size bed, dresser with mirror, closet, bathroom. It has every detail to make comfort your stadia, the entire department is very comfortable and clean, has cable TV and Wi-Fi. GUEST BED: Queen Size sofa bed. I´m a jewerly designer, I enjoy very much share my property with my guests, I everytime try to give an excellent service. When I meet this property I feel love, I like so much this historic building, Is like has a piece of mexican history and I love share it. This is the second time that I stayed at this house, is very confortable, has eveything for a pleasant holiday, kitchen, kitchen tools, paid tv, wifi, you can walk around in the beautiful colonia Roma, the location is great. The host is very nice and was always available. Great location and very responsive owner! We loved staying in this little place. Lizette was helpful and quick to respond when we had questions. We think it could have been cleaner and the kitchen was lacking some basic items necessary to prepare breakfast or simple snacks. It is not really well suited to 4 renters-or even two who are not sharing a bed as the bathroom is up a circular staircase and through the bedroom and the sofa bed is not comfortable. It’s easy to get around from here and the neighborhood is very walkable with lots of terrific little restaurants. 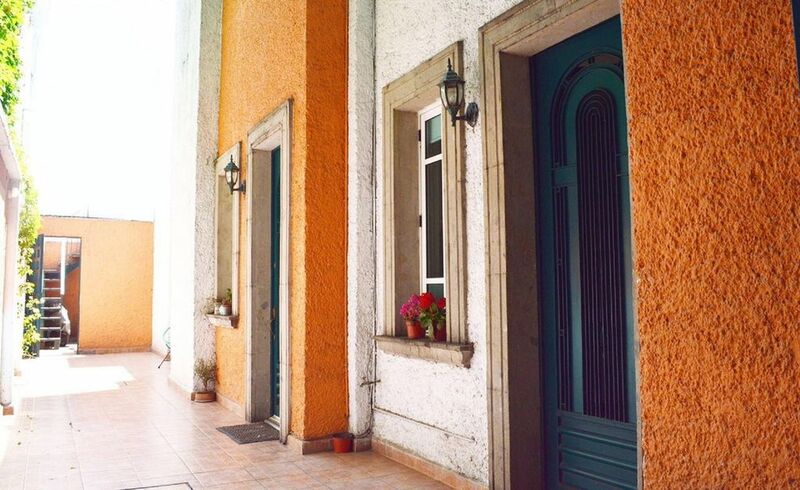 We had a great time exploring Mexico City while staying at Lisette´s home. Space is clean and confortable, with everything that we need. She was very friendly upon arrival and let us know all the hip places to check out in her neighborhood and in the city. The house is exactly as described. Yo can walk to many places, is a excellent location. Lisette met me last minute and very late at night, so she goes out of her way to make sure your acommodation goes well!! 5 stars all around! !, Will definitely stay here again on a future visit!! So many great restaurants and bars within walking distance. We loved the Roma Norte neighborhood and Congress is a short walk away. Lissette was very accommodating and the apartment is a great value. Great location, great host, and good space. Lisette was a great host and welcomed us when we arrived to show us around. The house was spacious for the two of us. It was in a great location, we spent a lot of our time just walking around the neighborhood. At night we felt completely safe and had no worries. Cute little place but could be cleaner. Kitchen not well equipped. Clear lack of maintenance with non working shower door, light bulbs out, etc. Fridge dead and I told the landlady at checkout. Asked for late check out as a compensation. Was told cleaning lady would be there at 1pm and new guests at 2pm but that I could stay till 2pm. At 2:30 no cleaning lady and no guests still... I’d stay again if improvements were made. Add real coffee maker, upgrade dishes etc. Clean shower and bath before new guests. Loved the little table in the front outside. Area is great. Awesome gym around the corner and great safe walking to restaurants and bars. Bed super comfy, lots of linen, and very quiet place. Colonia Roma is one of the most important and secure cultural centers of Mexico City, known for its big social life and architecture form the beginning of XIX Century, it is home form many artists and art galleries, wooded areas, supermarkets, malls and open spaces to enjoy. You will be able to find many activities on the day and night. It is located a few blocks from La Condesa, near Downtown and Polanco.